Today we will be looking at three of our best backpack camera bag selections. All of them have enough room to carry a laptop as well as a DSLR camera or two plus lenses and accessories. The ideal space for someone who wants all their gear at their finger tips. Because they are backpacks they are much easier to carry even when loaded with all your equipment. They all have the standard adjustable dividers to protect your cameras. Make sure to read about the different sizes and compare to your equipment. Don't forget the laptop size if planning to store one in your backpack. When looking for the best backpack camera bag remember to leave enough space for more equipment as well. There will always me more equipment! 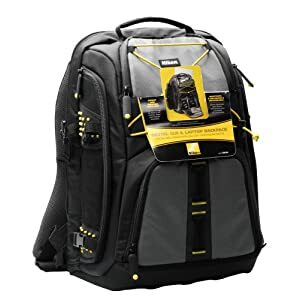 This backpack features a side entry compartment which gives easy access your camera and accessories, even when the backpack is on. This won us over in this size backpack. For more information on the Lowepro Fastpack 250 click here. 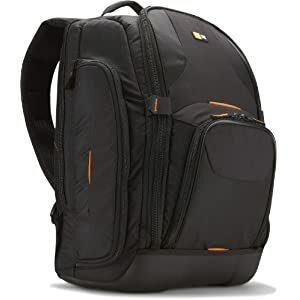 The Ape Case Pro is a larger bag and will hold two DSLR cameras, 6-8 More lenses and 17-inch notebook. 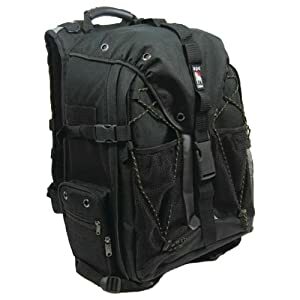 For those in need of more space for mutiple cameras this is a nice big bag at a very reasonable price. For more information on the Ape Case Pro click here. 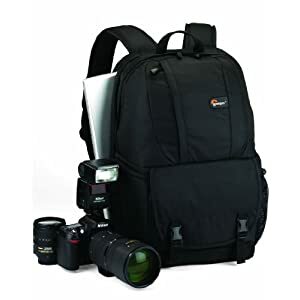 This backpack, like the first, will hold your DSLR with attached lens and an additional 2-3 lenses and accessories. There is also space for a 15.4" laptop. The Case Logic bags have a patent pending hammock system that suspends your SLR above the bottom, providing impact protection. It also boasts a water-proof base that allows the backpack to stand up on its own. Some unique features that the others don't have. For more information on the Case Logic SLRC-206 click here.